Liberals and conservatives are teaming up to call a new constitutional convention. Some liberals and conservatives are teaming up in an effort to rewrite the Constitution. Lawrence Lessig is advocating for a convention in hopes of overturning Citizens United with a constitutional amendment. Above, the former 2016 Democratic presidential candidate discusses campaign finance reform at AEI on Nov. 13, 2015, in Washington. It’s only a short phrase buried in the U.S. Constitution, but it enables an unprecedented mechanism to change the law of the land: If two-thirds of the states demand it, Congress “shall call a convention” for proposing constitutional amendments. A hopeless pipe dream? Actually, no. Some 27 states have called for a convention on a balanced budget amendment, which would force the federal government to pass budgets that do not enlarge the national debt. This means that theoretically just seven more states have to act for a constitutional convention to be called, at least on that subject. In just the first few weeks of this year’s state legislative sessions, at least 10 states have bills pending that call for a convention. So suddenly such a meeting, not held since the earliest days of this country, is becoming a real possibility. Even GOP presidential candidates are seizing on the burgeoning movement, with Florida Sen. Marco Rubio, former Arkansas Gov. Mike Huckabee, and Ohio Gov. John Kasich endorsing this unconventional process and rallying their supporters as legislative sessions start up again. While the legislation appears to be a grassroots effort bubbling up from the states, in reality it’s quite the opposite. National groups have been holding workshops, publishing tips, and even crafting model legislation for years to persuade legislators to use their states to circumvent the logjam in Congress. The push is led by the American Legislative Exchange Council, the Virginia-headquartered conservative think tank known as ALEC made up of state lawmakers and corporations that advocate free-market policies in the states. It has a cadre of other like-minded national allies working on the controversial strategy to revise the country’s supreme laws. Americans can amend the Constitution in two ways, as laid forth in Article V of the body of laws. The first has been used to pass all 27 amendments that exist today: Congress proposes an amendment with two-thirds majority in both chambers that must then be ratified by three-quarters of the states. The second route requires two-thirds of states to call a convention for proposing amendments, according to the Constitution. Besides these few words, the Constitution doesn’t give much more guidance. Lawmakers grapple with how to conduct such a meeting: Who attends? Where is it held? What is the agenda? Who leads the proceedings? What are the rules? Activists trying to convene such a convention are drawing on historical records to interpret the body of laws for clues on how to pull it off. Based on that limited research, they see two routes to such a meeting. On one side, ALEC and its allies seek to persuade 34 states to pass resolutions to call the meeting, as well as parallel legislation that outlines the rules and structure of the convention. After the convention delegates meet, 38 states would still need to ratify any amendment that the attendees produce at the convention. For bills to count toward the necessary 34 applications, though, they must seek the same amendment to discuss at the convention. So far, a balanced budget amendment is the closest to that requirement. But bills have also called for conventions about a cornucopia of issues, ranging from reforming campaign finance to congressional term limits. Critics are concerned that other topics could be introduced once the convention begins. The other, albeit more unlikely path, wraps up the resolution, rules, and ratification in one neat package: an interstate compact. This alternative method requires 38 states to pass the compact package, as well as congressional approval. The Texas-based group has deep ties to the conservative Goldwater Institute in Arizona; its leaders, Dranias and Thomas Patterson, were both formerly top brass there. Compact for America does not disclose its donors for “fear of political retaliation,” according to its tax filings. The campaign for conventions, however one comes about, is not solely led by a conservative bastion. 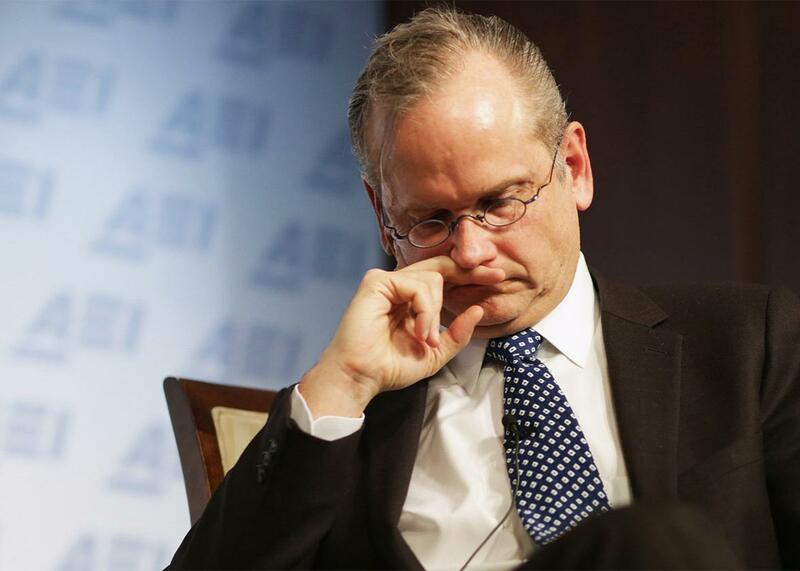 Former Democratic presidential candidate Lawrence Lessig stands out as a major leader in the movement. Critics say the only precedent for a successful convention occurred in 1787 when framers met to discuss weaknesses found in the Articles of Confederation. Instead of tinkering with the articles, the attendees scrapped the whole set of laws for the current Constitution. This context only intensifies critics’ fears of a runaway convention. Convention supporters point to research that suggests states held nearly 20 smaller conventions before 1787 that can be used as guidelines, according to Rob Natelson, a senior fellow at the free-market Independence Institute think tank in Colorado, who wrote ALEC’s handbook on such conventions. “Essentially, they served as task forces where delegates from different states could share information, debate, compare notes, and try to hammer out creative solutions to the problems posed to them,” Natelson wrote. The push for a constitutional convention isn’t just a recent phenomenon. Between 1957 and 1983, 32 states passed calls for a convention to discuss a balanced budget amendment—two states away from the required total. The National Taxpayers Union, a conservative advocacy group that works to rein in federal spending, led the effort decades ago. But Alabama reversed its call in 1988 after intense lobbying from the John Birch Society, the Eagle Forum, the progressive nonprofit Common Cause, the Daughters of the American Revolution, and Norman Lear’s liberal People for the American Way. It was the first of 16 states canceling their calls between 1988 and 2010. “We have a wonderful Constitution that has lasted for 200 years, and we don’t think anybody should play games with it,” Eagle Forum founder Phyllis Schlafly told the Washington Post at the time. Around the same time, ALEC and related groups jump-started a new campaign to hold a convention to discuss a balanced budget amendment. ALEC, primarily funded by corporations and trade groups, released Natelson’s handbook for state lawmakers, drafted model legislation, and held workshops on the subject at its annual conferences. The convention supporters are trying to build off the earlier wins in the 1970s and ’80s, because the votes do not expire, according to the U.S. House Judiciary Committee. “Let’s get Article V passed, get the power out of Washington back to the local government where the founders intended it to be,” said Mike Huckabee, a keynote speaker at ALEC’s annual meeting in San Diego in July. Connected to ALEC, the Florida-based Balanced Budget Amendment Task Force lobbied state legislators in at least 13 states in 2014, according to its tax return, with successful resolutions passed in Georgia, Indiana, Louisiana, and Michigan. The task force has targeted 13 more states in 2016: Arizona, Idaho, Kentucky, Maine, Minnesota, Montana, Oklahoma, South Carolina, Virginia, Washington, Wisconsin, West Virginia, and Wyoming. Those pushing for the conventions face some legislative leaders who refuse to send any convention bills to a vote, such as Arizona Senate President Andy Biggs, a Republican, according to the task force’s co-founder, David Biddulph. But he said his organization has connected with like-minded groups to help push through these barriers. “We’ve got extremely limited resources but extremely valuable friends,” Biddulph said. While primarily composed of volunteers, the task force has partnered with larger, well-resourced groups, including ALEC, the conservative think tank the Heartland Institute, and the D.C.-based small business organization, the National Federation of Independent Business, to push its message and lobby state legislators, Biddulph said. Another ALEC ally, the Virginia-based Convention of States, is founded by Meckler’s right-wing advocacy group, the Citizens for Self-Governance. With big name conservative endorsements ranging from former Republican vice presidential candidate Sarah Palin to Fox News host Sean Hannity, Convention of States uses similar tactics as ALEC: providing model legislation, citizen toolkits, and responses to opposing arguments. The group hosted Article V workshops at recent ALEC conferences and has planned information sessions in Arizona, Illinois, New Jersey, and Virginia for this January and February. The advocates are bolstered by last year’s momentum. A Center for Public Integrity review of legislation found that state lawmakers introduced approximately 190 bills in 45 states last year about conventions on a range of issues. Bills passed in at least seven states. Supporters are also taking more symbolic action. Activists introduced a ballot measure in California to seek a constitutional amendment and Republican Texas Gov. Greg Abbott proposed nine constitutional amendments to strengthen state powers earlier this month, urging Texas and other states to push them using an Article V convention. But the Eagle Forum and the John Birch Society are continuing their efforts from the ’80s to combat this renewed push from ALEC and its allies to seek a convention. Meanwhile, the John Birch Society, which advocates for limited government from its Wisconsin headquarters, sends out action alert emails, posts videos, distributes educational materials, and works with state legislators, according to Larry Greenley, the group’s director of missions. Florida state Rep. Michelle Rehwinkel Vasilinda couldn’t believe a constitutional convention bill passed 73–42 in her chamber with scarcely any debate in April 2014. After seeing this legislation pass, Rehwinkel Vasilinda raised her concerns among her friends, family, and fellow lawmakers. Shortly after, she said, a John Birch Society field coordinator brought the Democratic lawmaker language for a bill to repeal all past calls for a convention. Bills with similar rescinding language have cropped up in the past five years in other states, including Missouri, New Hampshire, North Carolina, and North Dakota. Rehwinkel Vasilinda introduced the bill last year, but it died in committee. Undeterred, she introduced a new version for this legislative session, which began Jan. 12.